This is going to sound vitriolic and angry because this is and I am. I've decided to call it righteous indignation. 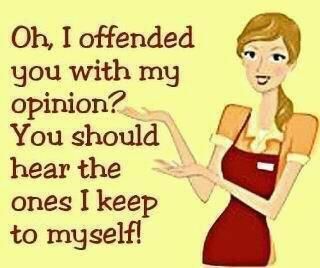 I've kept my mouth shut for a long time, so as to not offend others, but they have no problem offending me. I've grown tired of trying to defend the church, so I quit, and now I'm starting to look at it from the other side and realizing how hate-filled we seem to the rest of the world. The right wing fundamentalist Christians have no problem loudly voicing their opinions for all to hear, while those of us with more moderate views keep them to ourselves so that we don't offend people, and by doing so, we've allowed the image of Christians in North America to be dominated by extremists like Rush Limbaugh, Bryan Fischer, and Mike Huckabee, just to name a few. The Christian Left may be in the minority, but it doesn't mean that we're in the wrong; we exist and it's time for us to start pushing back. Their comments may seem innocuous on their own, but they begin to pile up and present a clear picture of what these people believe and promote in the name of Christianity: hurricanes, tornadoes and shootings caused by abortion and homosexuality? Can they even hear themselves? Look, I believe in Biblical Creation. As a part of that I believe that God created natural systems to function according to rules and laws such as seasons, climate systems, natural selection, laws of science as well as cause and effect. I also believe that evil and sin exist in the world because of The Fall, and because of that, terrible things are going to happen, but not because God has his nose out of joint over legalized abortion. They've taken an eternal, omnipotent, omniscient God and reduced Him to a teenage girl that responds to perceived slights with petty, vindictive behaviour. There are plenty of secularized countries that don't experience the same level of gun violence as the US, mostly due to restrictive gun laws and socialized medicine. Prayer in the classroom has no part of it. I'd also like to point out that the shooter wasn't a student, so whether they had prayed that morning in the class was irrelevant. If you want your child to pray in school, put in them in a religious school. It's not the teacher's job to morally form your child in a public school, it's your job as a parent. Religious freedom for you means religious freedom for all the other religions as well, or the freedom to practice no religion at all. You can't have it both ways. Don't make this about abortion and homosexuality when actually the fault lies in easy access to assault weapons and lack of easy access to healthcare in the US. You can call me a "bleeding-heart liberal" all you like, because I guess I am. I will wear the badge proudly and hope that people can see that I have not given up on the world and making a difference in it. Thanks for this, Alison!! You're absolutely right that it's time for the Christian Left to speak out and stop letting the fundamentalists tarnish the image of all of us! Go girl!! Well said! Well said, Alison! I'm glad there you can put into words so well...how some of us feel too! Thank you. Alison - well said. Although I would be classified as a secular humanist, I agree with the point you are trying to put forth (there are some minor things but those are irrelevant to my belief system). My reasons for feeling a disconnect from my religious "upbringing" lie in the same "you are going to be punished" unless you agree with what our religious group has told us what god has said. I have friends from many cultures and religions. I and they may have discussions about religion but they would never go beyond "kindness and respect". I have to admit that there have been some individuals that I tend now to avoid simply because of their dogmatic approach to issues (especially the "god has told me" meme that seems to appear now and then) and that is unfortunate both for them and myself. Hope you enjoyed Bodhi Day!